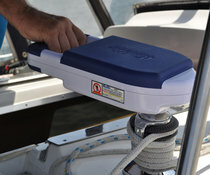 Electrify all your winches instantly for a fraction of the cost of an electric winch ! Comes with Bag, AC and DC Charger, AC travel adapter, 2 Winch Cogs and Manual. Battery: 3.0AH 21,6 volt lithium ion. 12 volt charging system, heat protection and shut down protection for battery and charging, sealed battery in unit. Charging time for AC is approximately 1 hour. Cool down period is required after charging. Operation: Dual directions controlled by switch I/II, variable speed RPM 0-130+, Torque: 110nm+/1030inlbs/100ftlbs, Works on all standard 8 point winches. 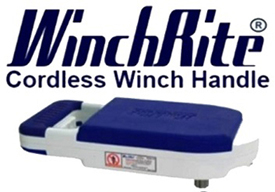 If a winch is properly sized for a load then the WinchRite will perform as designed.